Part of Banpresto's line of Chouzoushuu figures, this high quality figure of Future Trunks from Dragon Ball Z is a must have for any fan! Part of Banpresto's line of Chouzoushuu figures, this high quality figure of Future Trunks from Dragon Ball Z is a must have for any fan! 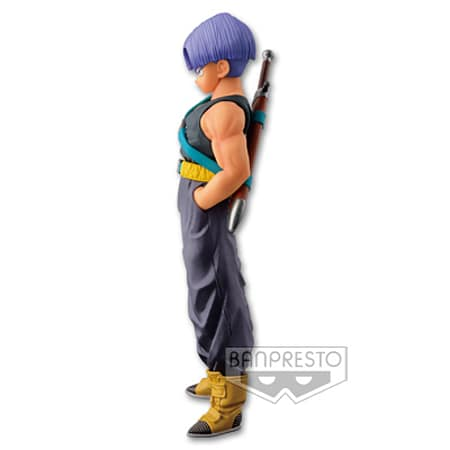 With his iconic sword, Trunks is posed with his hands in his pockets and with a look on his face as though he's ready to turn Super Saiyan and destroy a bad guy!